Home Can ERP succeed in the cloud? Enterprise resource planning (ERP) platforms famously require high maintenance at a high cost. Cloud-based platforms, which concentrate on specific business processes, could replace the one-size-fits-all-business-areas ERP at a fraction of the cost. So if you can get the same systems but let someone else look after the back end for you, is old-school ERP doomed? An ERP system is often the biggest investment a CIO makes – and yet many implementations have failed to help businesses. According to YouGov, a fifth of CIOs think their ERP system is inflexible and can’t adapt to their business needs. The same number have multiple ERPs with each department having a different database, and 58 per cent described their ERP projects as failures as the software didn’t match their business processes. With a third of CIOs saying ERP isn’t fit for purpose, you wonder if there’s a future for big-iron ERP. “I have said it before, and I’ll say it again. It is going to take some time, but the death of the enterprise application is beginning. The cloud is the harbinger of that death, and I, for one, can’t wait for it to do its business,” says Clive Longbottom, senior research analyst at Quocirca. 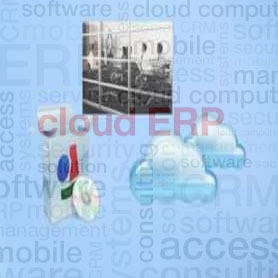 There is a counter argument, that cloud computing is not ready to take over from ERP, and ERP is still maturing. The most significant cost of ERP systems is not the software but the cost of its implementation. Costs are often escalated by business practises, a lack of training and education and poor project management, CIOs report. “This leads to badly performing software that has cost several arms and legs to put in place and this creates an aircraft-carrier project mentality: we’ve spent too much already – we’d better keep on spending,” says Longbottom. A company then keeps investing in the implementation to try and get it all to work. “If businesses didn’t fall for the moonshine, smoke and mirrors they would realise that they do not need ERP at all,” says Longbottom. Organisations should look at functions that already exist in house, functions that can be bought in from outside and functions that are available free of charge. “By building a functional model, everyone wins – bar SAP and Oracle,” says Longbottom. The enterprise not only gets something that makes it a better business, it also benefits from a tool that’s more flexible and which improves with time. “You can sign up, try it and drop it after a month if it doesn’t work. If you like 80 per cent of what’s there – drop the 20 per cent and plug in someone else’s function instead,” says Longbottom of the convenience of cloud-based solutions. Other analysts argue that ditching ERP – along with the system integrator that came with it – is a tad hasty. According to the Gartner Group, some (though not all) ERP vendors have adapted their offerings for the era of cloud computing. Indeed, a hosted ERP system offers all the cost savings that the cloud might offer and is proven technology with decades of heritage, says Nigel Montgomery, research director at Gartner. The problem with the cloud alternative, Montgomery says, is that nobody has a single vision of what a cloud ERP system might be. For some it’s a form of SaaS but which is run on the premises, while others prefer a genuinely hosted service while a third would opt for a cloud operation in the traditional sense, with systems and data stored in unspecified locations. “The first thing the CIO must do is make sense of all these contradictory stories,” says Montgomery. A hosted system certainly offers a cheaper alternative, but its success depends on the size of your organisation and on the sector you are operating in. Netsuite, Plex and Workday, for example, will all meet HR and finance needs. Hosted ERP systems will do a great job at a good price for administrative departments or organisations below 200 seats, says Montgomery. But, he says, for operational business units such as manufacturing, only a traditional in-house ERP system will do. Even where in-house ERP systems are indispensable, the cost of maintenance could be tackled, says Paul Marry, CEO of Intact Software. “Businesses tend to bring in expensive outside help to make modifications or buy expensive add-ons,” says Marry. CIOs should not put up with disruption and costly external consultants each time they need to make a change to their ERP, says Anwen Robinson, MD of enterprise sotware and service provider Unit4 Business Software. “A platform approach to ERP prevents vendor lock-in and lets CIOs choose the precise functionality the business needs,” she argues. According to Jason Currill, CEO of service provider Ospero, it might be too late for the legacy ERP vendors to adapt. The cloud vendors have overtaken them, he warns. “The cloud and SaaS have brought ERP to everyone who wants it, not just multinationals and large corporates. In the past ERP was strictly the domain of IT,” says Currill. In the smaller enterprises, where companies tend to use many of the functions of their bigger partner organisations, ERP will live on, because it is part of the fabric of the industry, says Gartner’s Montgomery. Simon Daykin, CTO of service provider and systems integrator Logicalis, agrees. “ERP has a long future. Yes, originally there were some implementation disasters but we’re taking existing ERPs, re-platforming them and hosting them,” says Daykin. Don’t throw away those years of investment, he urges: ERP can be fine-tuned and run a lot more efficiently. Instead of killing ERP, we should make it stronger, says Nick Castellina, research analyst with the Aberdeen Group. “In future managers can get much better information in a timely manner when ERP and business intelligence are integrated,” he says.